We wrap up this month's focus by profiling a true pioneer in the corrections field. Andrea Cabral is not only the first female sheriff in the history of Massachusetts, but she was also the first black sheriff in Suffolk County. Her tireless pursuit to advance her career and her list of successes should serve as an inspiration to all corrections professionals. In the fifth grade, Andrea Cabral took a career aptitude test that determined she possessed the skills to be either a lawyer or an actor. When her mother showed her the proudly preserved document just a few years ago, Cabral had to laugh at just how accurate the assessment turned out to be. Cabral prosecuted hundreds of misdemeanor and felony cases for two county district attorney’s offices and the state’s Attorney General. 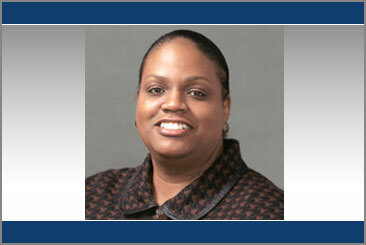 In 1998, she was tasked with managing eight district courts and the Boston Municipal Court. If Cabral had taken a career aptitude test at that point, it would have indicated she had all the right ingredients for her next daunting career move. Read this week's full story. Regarding last week's comment about facility audits. I have said for years that inspection teams should just show up unannounced. I have been in corrections 13 years, and to this day I have always known when a inspection is going to take place. The problem lies within the higher echelon. They are all buddies so the big man calls and says "hey we are coming down next week." Well everything stops security wise because all the higher ups are worried about is making sure the walls are painted and the floors are waxed. Corrections has become a very bad scene in the last five years and it is going to get worse unless we start taking back these institutions. Start staffing these places and give the officers something to defend themselves with. We have the tools to fight with but again higher ups are afraid to use them. I think what that boils down to is they are unfamiliar with what we have and when you can use it. We are just now getting stab resistance vests. The only sad thing is, it took the life of an officer to get these approved. Indiana Department of Correction Commissioner J. David Donahue promoted Frances Osburn on July 10, 2008, to the superintendent position for the Indianapolis Juvenile Correctional Facility. Full story.